It's not unusual for people to want to add an upgrade to their house and one of the most popular renovations is the addition of a pool. Most people see a pool as a popular place to have a party, enjoy the warm summer weather in privacy, and stay cool when it gets too hot; however, some people are discouraged by the expenses involved in pool maintenance . Therefore, many people try to save money by handling all of the maintenance and tests on their own. While some people think they can handle this, the delicate chemical balance in the pool is not something to be taken lightly. Why should people rely on the professionals? Sure, people can go to the store a buy a home pool testing kit that they can use to try and get the chemical pH and ionic balance of the pool correct on their own; however, this isn't enough. It is important for people to truly understand the chemical balance of the pool, how it works, and why it is important. The box may say one thing; however, what happens when the circumstances change? How does the temperature affect the ionic dissociation of the compounds in the water? What happens if the balance is off? These are important questions that people without proper training simply cannot be expected to understand. Another issue with testing the water on your own is that the store-bought testing kits are simply not accurate. The professionals will come to the home with the most advanced equipment on the market, capable of detecting even the tiniest abnormalities that can keep everyone safe. Furthermore, the professionals have the training that is necessary to use this equipment correctly. With the financial investment that people make in a pool, it is important to make sure that this testing is handled correctly. Most importantly, this is an important matter that must be handled correctly every time because the penalty of a mistake is too high. The pH and chlorine balance in the pool is vital for safety because it keeps bacteria and viruses away from the swimmers. On the other hand, if the balance is off, it can cause serious damage to a person's health. 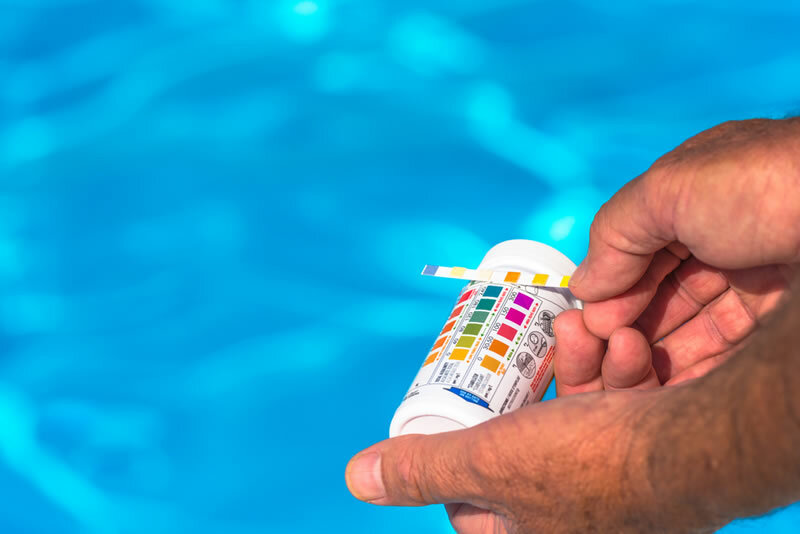 A pool with an improper pH can damage the skin of swimmers. An improper chlorine balance can impact people's lungs and damage their eyes. It is important for people to have fun in the pool; however, they also need to remain safe. Trust the professionals to make sure this happens. Ultimately, these are only a few of the many reasons that people need to rely on the professionals when it comes to the chemical pH balance of the pool. The safety of everyone using the pool should come first and everyone should rely on people with the proper expertise to get it right.